Disclaimer: This post has been sponsored by Sprouts Farmers Market. Thank you for supporting the brand I love. With Memorial Day around the corner, we are definitely in cookout season. 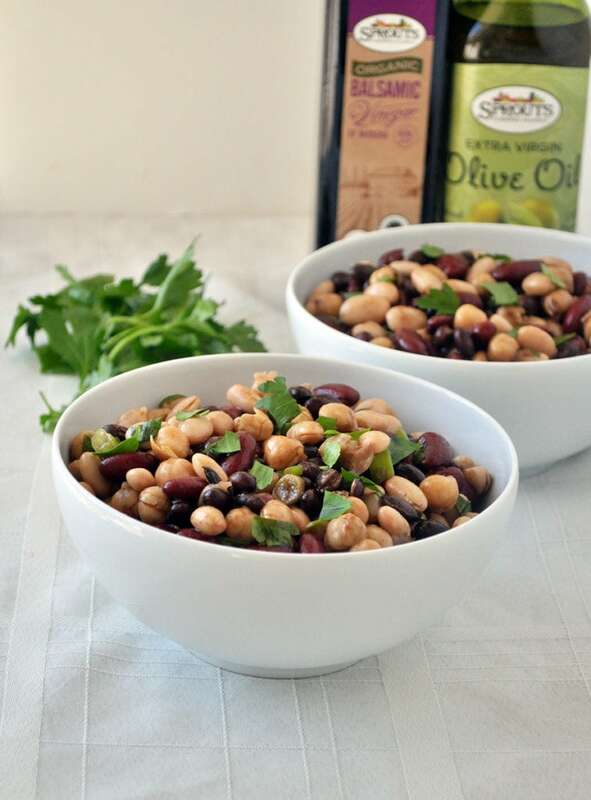 Bean salads are a staple at every family gathering of ours. This easy mixed bean salad is so great because it calls for simple ingredients you probably already have on hand! I used Sprouts brand Extra Virgin Olive oil and Sprouts brand Balsamic Vinegar. Did you know they have their own website dedicated to their private label products? When purchasing Sprouts products, you are not only saving money, you are also getting quality products with the finest ingredients. They are so sure you will love them, that they offer a money back guarantee if you are not satisfied. The perfect salad for your outdoor parties! Add beans to a large bowl. In a small bowl, mix the balsamic, olive oil, garlic and dijon mustard. Stir well and pour over the beans. Lastly add the parsley, green onions and sea salt to taste. Stir well. This may be eaten immediately, but it does taste even better after it marinates in the fridge for a bit. This should last at least 5 days in the fridge. Enjoy! I'm so glad you posted this recipe. Perfect timing. 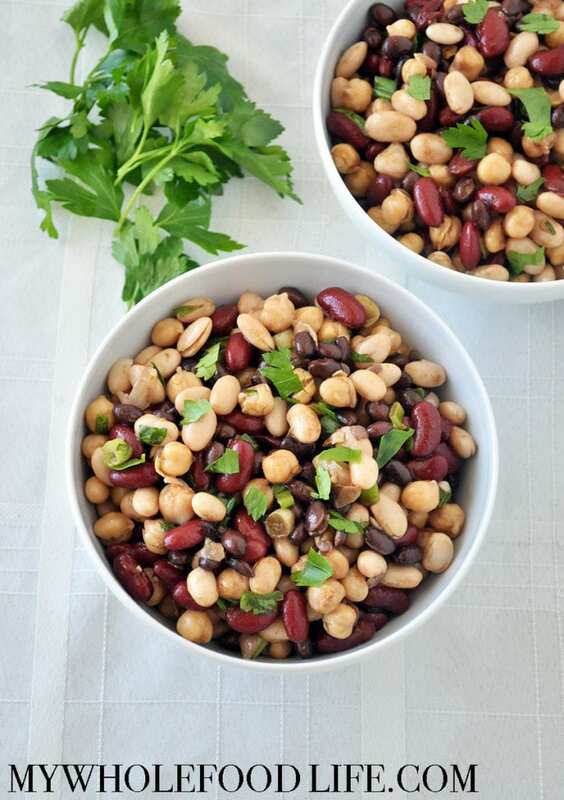 I was going to look for a bean salad recipe to take camping this weekend, and here it is! I am oil-free, is there a good substitute you might suggest? Thanks, this sounds great! You can try just omitting it.